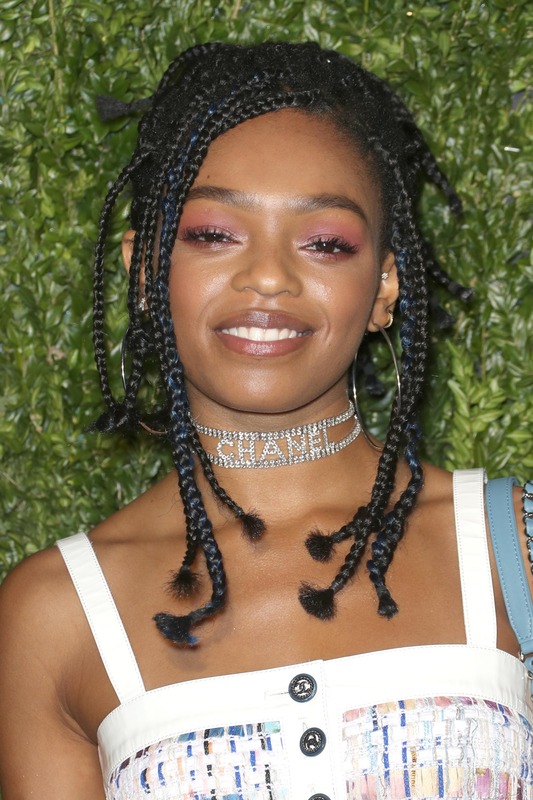 Get ready to fall in love with these celebrity-approved loose box braids styles! Trend alert: loose box braids are fast becoming the hottest protective hairstyle to rock. Members of the glitterati have already been spotted wearing box braids with loose ends, giving us major mane envy. 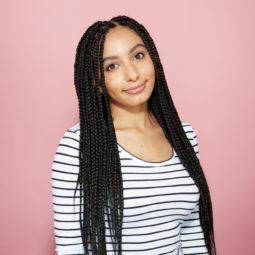 Whether you’re obsessed with Poetic Justice braids or are contemplating giving them a go (or maybe you’re wondering what loose box braids even look like? ), take some style notes from these celebrities who are slaying box braids + loose ends, below. It’s no secret we’re huge fans of fun coloured box braids, but there is a way to make them look even more enchanting. How? When paired with curly ends, of course. Just look at how Chanel Iman rocks the trend and you’ll understand what we mean. Her box braids ends are undone, curly and perfectly complete the boho look she’s going for. Oh Chanel, we wish we had your mane! Another hairstyle that’ll stylishly show off box braids ends? A high ponytail — isn’t that right, Serayah McNeill? Next read: Box braids ponytail hairstyles you’ll love. 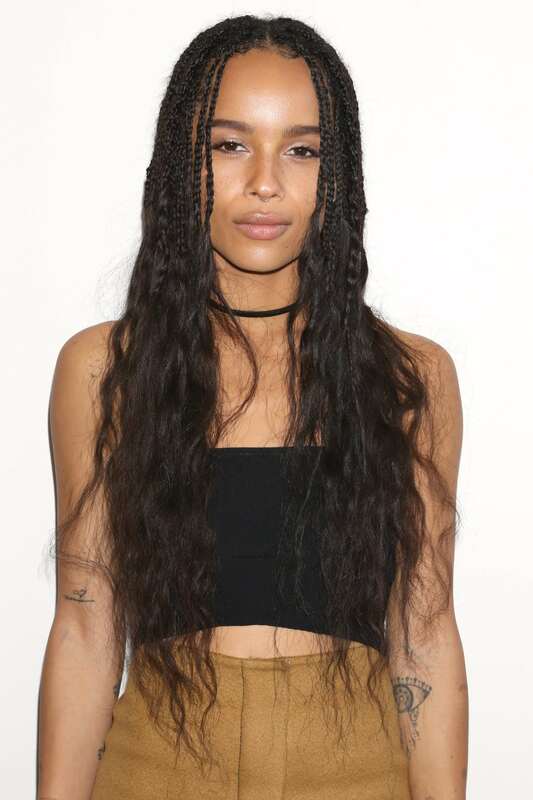 Let’s face it, Zoë Kravitz‘ braid game is always on-point – and this showstopping example is certainly no exception. We love how she has paired her baby box braids (AKA micro braids) with wavy ends, which help add a beachy touch to this otherwise simple style. Editor’s tip: Want to ensure your hair is taken care of while it’s in box braids? Then you need to try the TIGI S Factor Papaya Leave-In Moisture Spray! This amazing product will help keep your box braids + loose ends looking and feeling softer, smoother and more hydrated, all while adding a divine scent. When you’re attending a fancy event or heading to work, you can easily look the part with this sophisticated, low bun hairstyle. 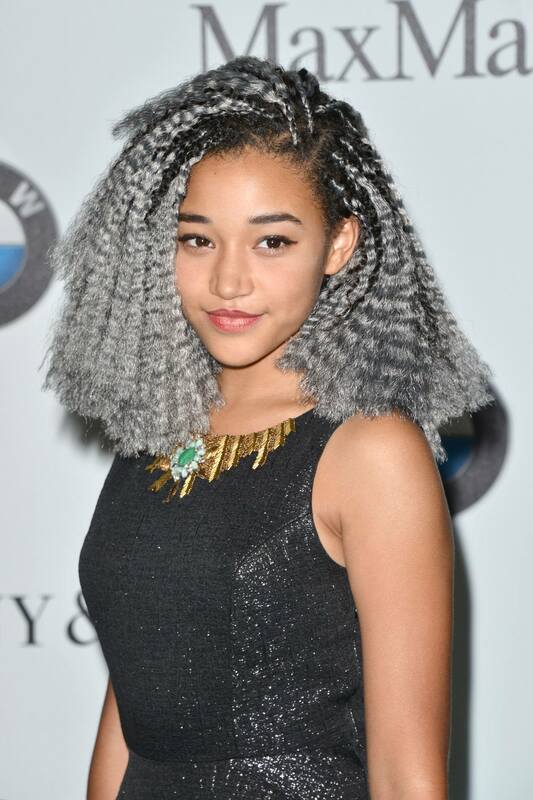 Get ready to travel back to the ’90s with this crimped box braids hairstyle, which we spotted on Amandla Stenberg! As you can see, she’s undone her medium box braids from nearer the top, showing off some crimp-tastic waves (sorry, not sorry!). Psst: Grey is the colour of the season, so earn yourself some extra sartorial points and get the hue in your box braids, too. Have you always wanted to channel your inner silver screen siren? If so, you need to take mane notes from Amber Dixon Brenner, who’s giving us all a lesson in natural hair styling. As you can see, her side-swept micro box braids ends have elegant, classic curls incorporated into them, giving an effortlessly romantic vibe to her overall look. Honestly, you’ll be the belle of any ball with a ‘do this fab! Ease yourself into the box braids + loose ends trend by copying Tia Mowry’s feminine feathery look. As you can see, her long box braids ends are subtly undone, which she cleverly shows off with this side-swept hairstyle. But the best thing about box braids with loose ends? You can accessorise them, too. 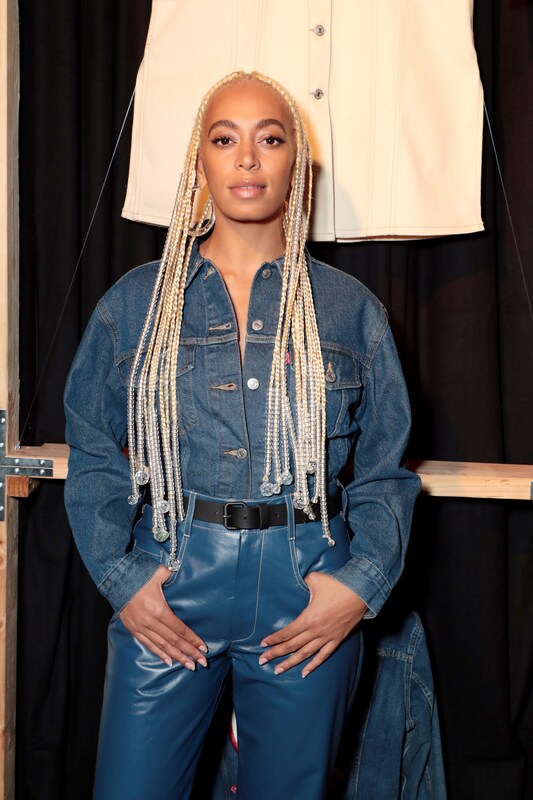 We didn’t believe it either until Solange Knowles (AKA our natural hair hero) schooled us in the art of doing it. Notice how her box braids ends have faceted crystal beads attached to them, creating a sparking chandelier effect? Now that’s what we call creative! Getting long box braids has its pluses! 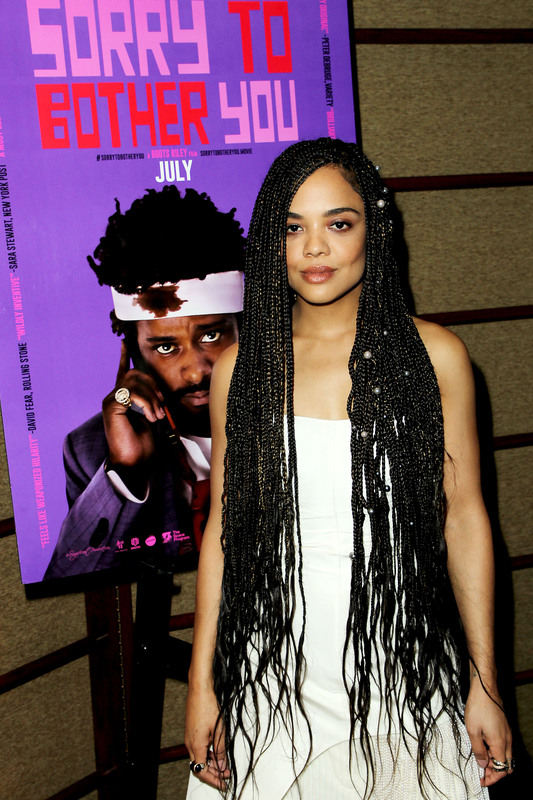 Just like Tessa Thompson, you can channel serious mermaid vibes with these long braids and wavy ends. Completing the look with pearls will make your look extra runway-worthy. Our goal for a night out is to feel as chic as a ’90s babe. This TLC-inspired hairstyle will let us do just that. See you on the dance floor! If curly loose box braids aren’t enough, you can take the edge up a notch by teaming your hairstyle with a fierce undercut, like Mary J. Blige has done. We also love how she’s fashioned her mane into a half-up, half-down ponytail hairstyle — how about you?